The generation of $82 billion into the US economy and creation of over 100,000 jobs appears to depend on a little understood rule change affecting the Unmanned Aerial Vehicle (UAV) industry. The much anticipated Part 107 regulations that took effect late last week will supersede the current exemption process and eliminate 85% of the present exemptions currently in queue. Left to right: AUVSI CEO Brian Wynne, FAA Administrator Michael Huerta and Transportation Secretary Anthony Foxx addressed unmanned aircraft rules at DOT headquarters. The new rules have standardized the visual line of sight flights of commercial UAV that weigh up to 55lbs. Most importantly, barriers for businesses that want to use drones have been lowered by removing the requirement that insisted on any UAV operator having a pilot license. Instead, a less strenuous, more inexpensive aeronautical knowledge test is required. By removing the lengthy exemption process, Part 107 can accelerate the growth of the UAV industry. As mentioned earlier, some industry estimates predict that the rule change could generate more than $82 billion for the U.S. economy and create more than 100,000 new jobs over the next 10 years. Previously, commercial drone use was illegal in most cases unless businesses received a Section 333 exemption from the FAA, which was a complicated and lengthy process requiring operators to possess a pilot’s license. Since 2014, the FAA has granted more than 6,100 of these exemptions, and another 7,600 are awaiting approval. In our discussions with several commercial UAV companies, Part 107 has been considered a positive first step. However most, if not all, believe that more progressive regulation is needed to truly unlock the potential of the commercial UAV industry in the US. The FAA answered that sentiment this week when they issuing 76 waivers. 72 for night time operations and four for the FAA Pathfinders (CNN, PrecisionHawk, BNSF, CACI) to expand their research on flights over people and beyond line of sight (BVLOS). “Without the ability to fly BVLOS, many companies nationwide will not be able to attain a substantial percentage of the available remote sensing value from the UAS. Large agribusiness fields, forests, mining operations, public utilities and other rural industries are examples of where extended operations are needed and where we are working to accommodate the growing demand,” said Tyler Collins, VP Airspace Services for PrecisionHawk. These industries often have infrastructure across huge areas of land that require more support than what can be efficiently and safely provided by manned aviation or by UAV flying within line of sight. BVLOS flights have not been allowed, mainly due to strict regulations. According to the ‘see and avoid’ clause in Part 91.113, pilots are required to scan for traffic and avoid as necessary during Visual Flight Rules (VFR). The FAA is interested in finding a safe equivalent to see and avoid. An effective replacement system must be able to sense other airspace users, provide situational awareness to the UAV, and execute collision avoidance manoeuvres in a safe manner. Another big limiting factor for the Beyond Visual Line of Sight Flights (BVLOS) flights has been the lack of reliable Sense & Avoid technology. The options that have been looked at before such as transponders, traffic alert and collision avoidance system (TCAS) , Air-borne collision avoidance system (ACAS), and radar technologies are not feasible for a small UAV due to size, weight, and power constraints. The part 107 has shed some new light on use of technology in the UAV space. It states that the UAV give right of way to all other aircraft, as it is critical for ensuring safety. Some companies and commentators such as Aviation Management, and State Farm, suggested that the FAA modify the language of the rule pertaining to right of way in Part 107 to take into account prospective use of technology to aid in the deconfliction of manned and unmanned aircraft. The FAA responded by saying it “agrees that there is much promise for technology to aid in the deconfliction of manned and unmanned aircraft, but that technology (referred to as “sense and avoid” technology) is still in its infancy. At the time of writing, the FAA does not have data indicating that sense and avoid technology has matured to the point needed to allow a small unmanned aircraft to reliably avoid a collision with a manned aircraft. The FAA intends to use the data acquired from the waiver process to inform future agency actions to further integrate small UAS into the NAS.” The FAA has posted the requirements for visual-line-of-sight and see-and-avoid requirements of part 107 waivers that will allow the FAA to approve sense-and-avoid technology on a case-by-case basis. 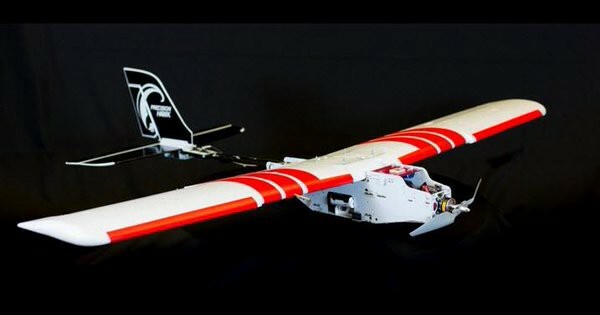 Our company, Iris Automation, has partnered with multiple Commercial UAV companies to collect data using Iris Automation’s Sense and Avoid Module, the goal is to showcase that the Sense & Avoid technology is mature enough to automate avoidance procedures for UAVs in national airspace and can be a safe equivalent to see and avoid. Additionally, Iris is also working with leading government sanctioned programs to provide input on use of Sense & Avoid Technology. The U.S. commercial drone industry is taking the right steps with the announcement of Part 107 but there is still clearly a lot of work to be done. Commercial UAV companies need to continue to advocate for policies that allow BVLOS flights, self-regulation when appropriate and industry feedback. Our belief is that without a robust, safe, and reliable Sense & Avoid solution, like the kind Iris is building, the industry will be slow to adopt BVLOS flights and that will delay the unlocking of the commercial UAV industry.